Procare Foil Hair Strips Colouring and highlighting treatments become faster and easier with ready cut Procare Foil Strips.Neatly pre cut Procare Foil Strips save you the hassle of cutting foil to length, and are great for specialist colouring techniques. 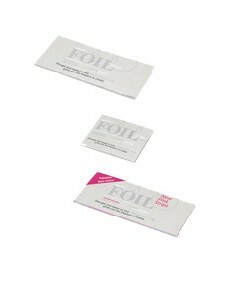 Procare Foil Strips come in small or large size options. Procare also offer non-cut hair foil , as well as a variety of coloured foils and dispensers.